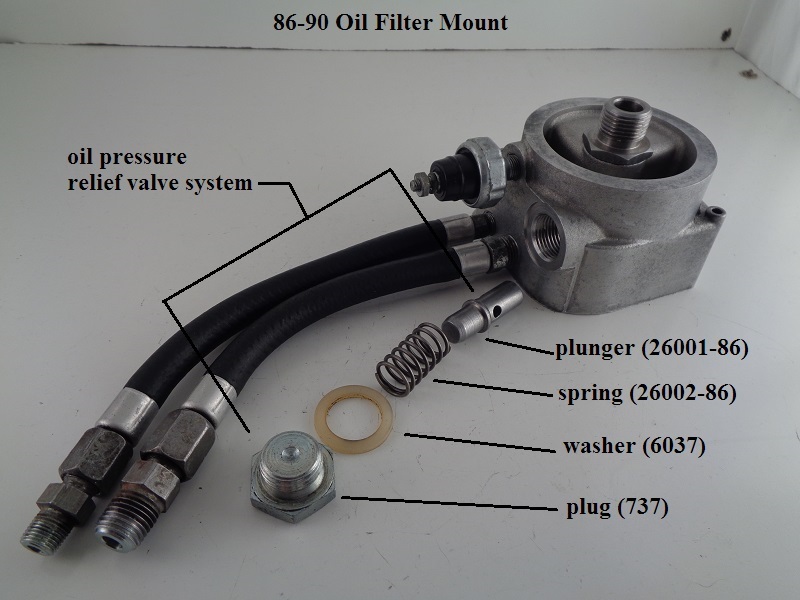 What s the purpose of the plugged hole at 6 o clock on oil filter case;can be relocated the breather hose there? Not sure what you're referring to but here are the connections at the filter pad. I think he meant the cam chest has a lug at 6 O clock. 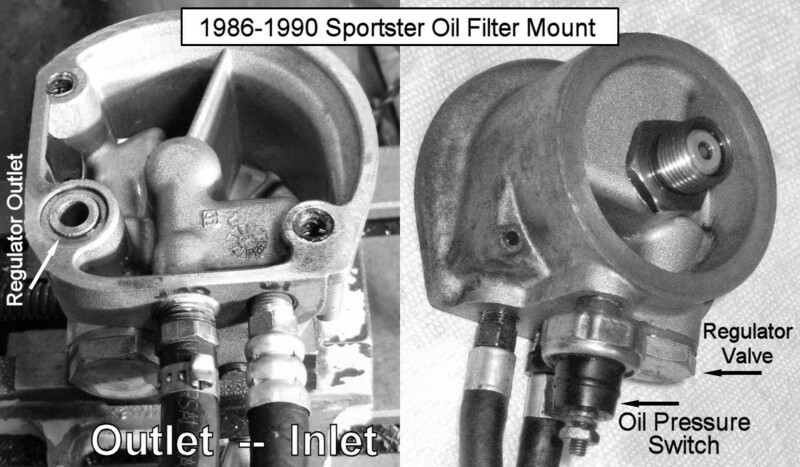 Yes,that one on the cam chest;but anyway the pictures clarified me how is looking the pressure release valve on this engine,because never took out that plug;thanks Hippysmack. I thought that but he mentioned the filter so I wasn't for sure. You know, you can always browse the Evo section of the Sportsterpedia. And scroll down to the REF section for 'all engine' docs as well, if that helps also. It is advisable to check that the relive valve is functioning correctly; no leaks on the seat and the spring is still OK. The new spring length was posted on this thread.